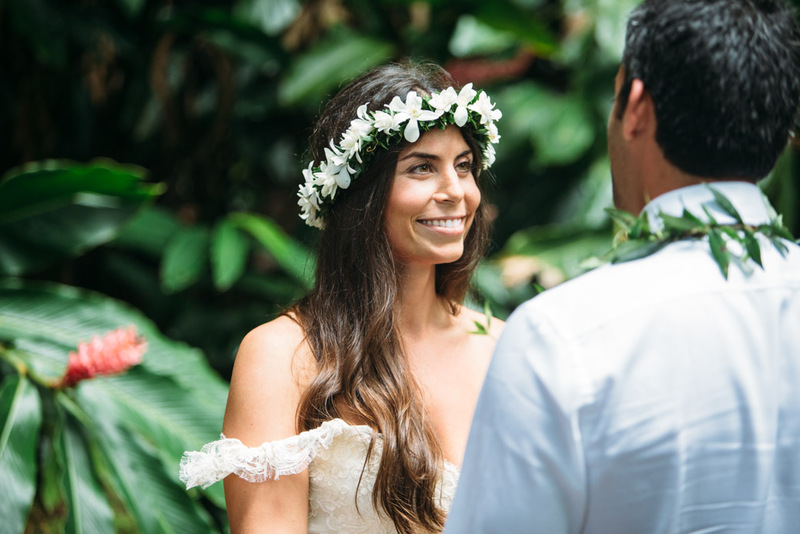 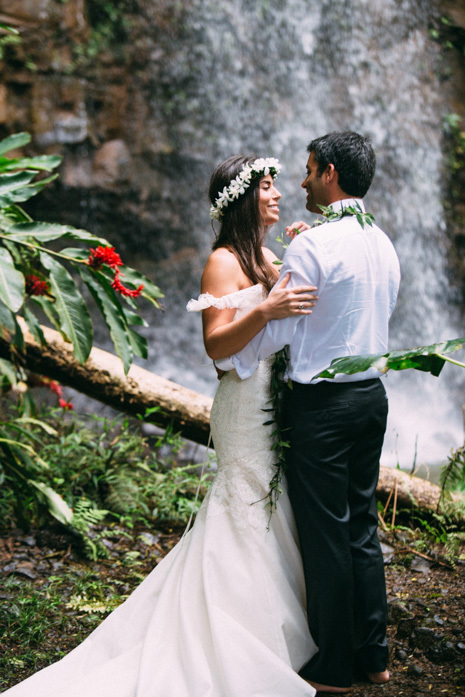 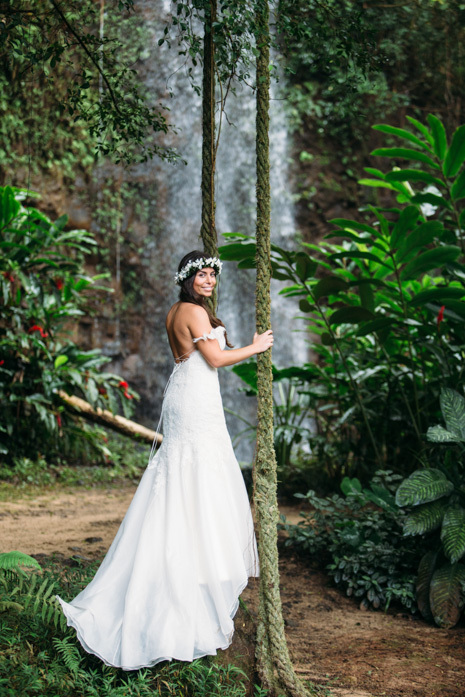 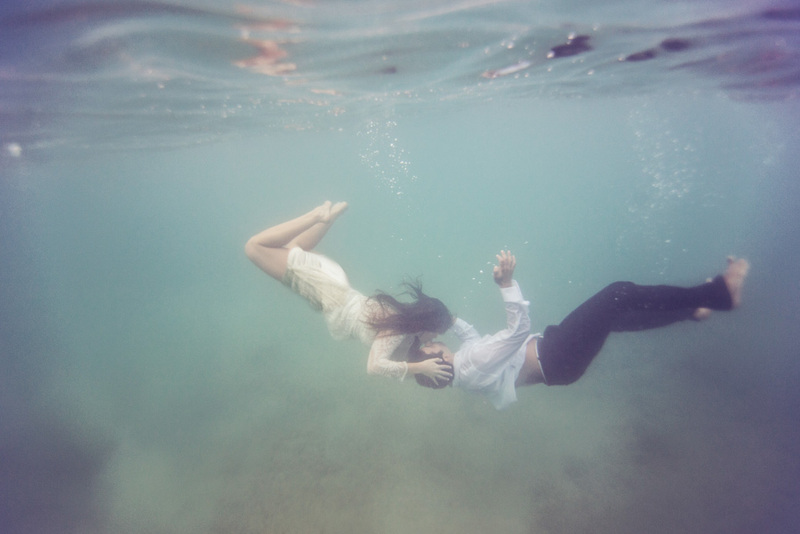 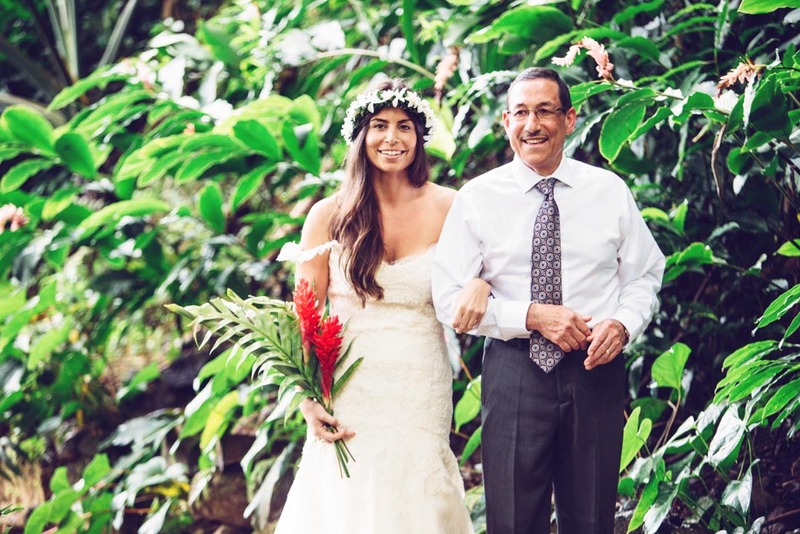 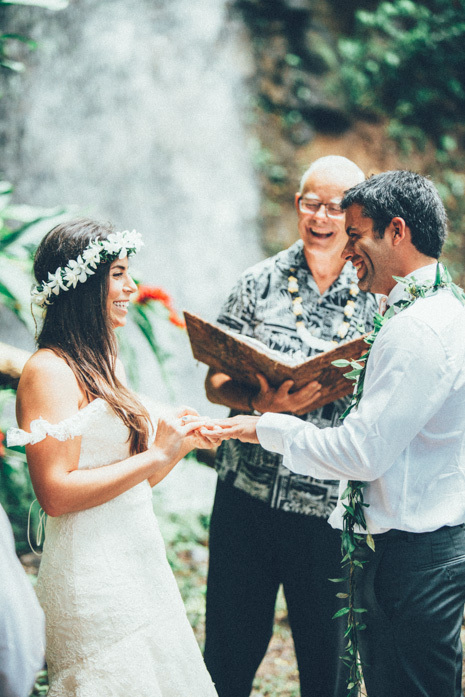 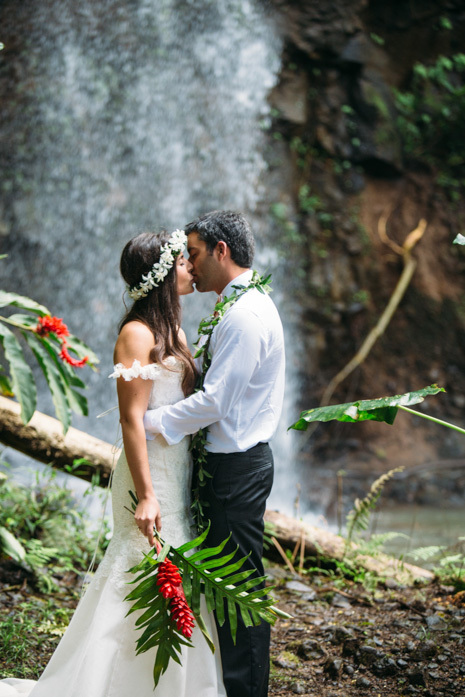 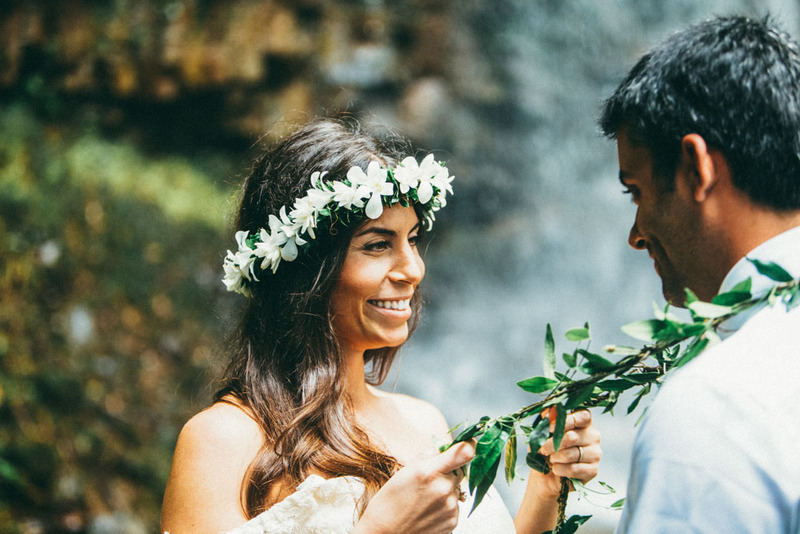 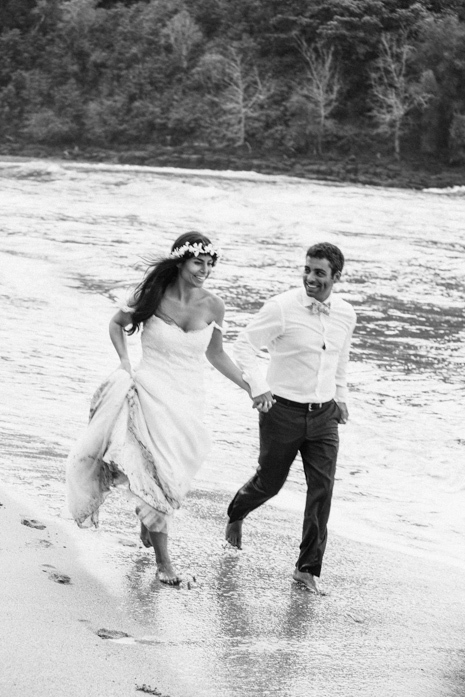 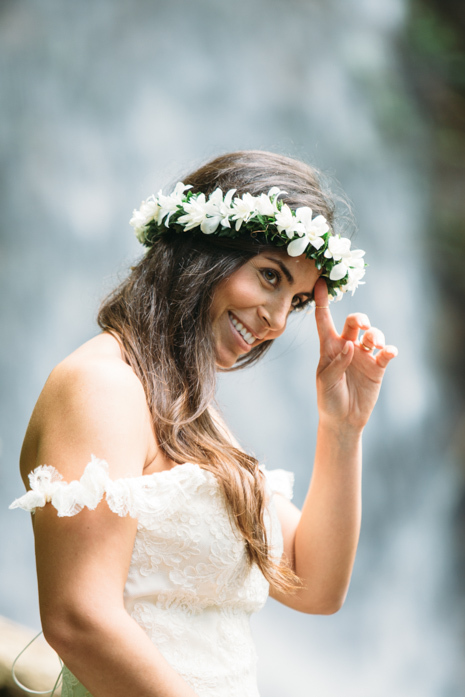 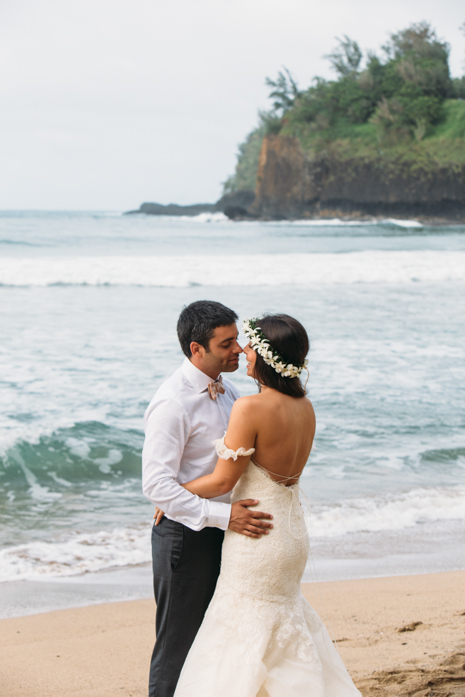 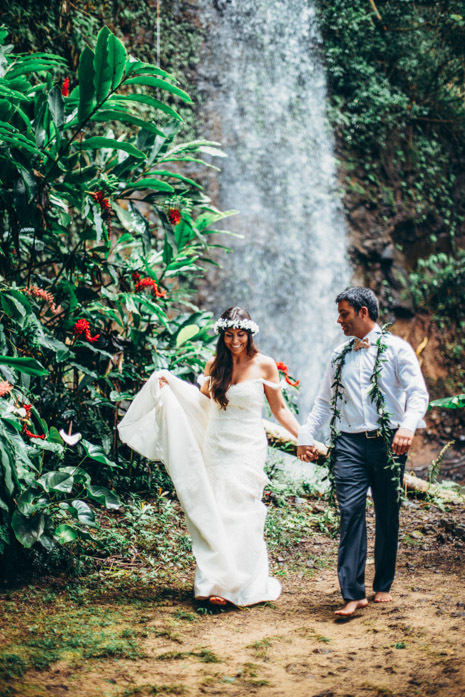 How delightful it is going to Kauai whether for perfect surf or shooting an amazing destination wedding like this one with Lindsay & Nico coming all the way from Florida. 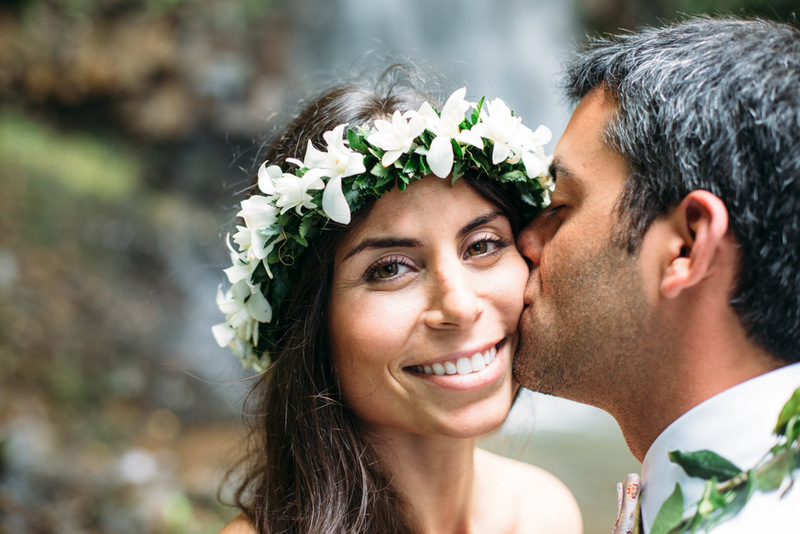 They were such an adventurous and fun couple who I really enjoyed spending time with. 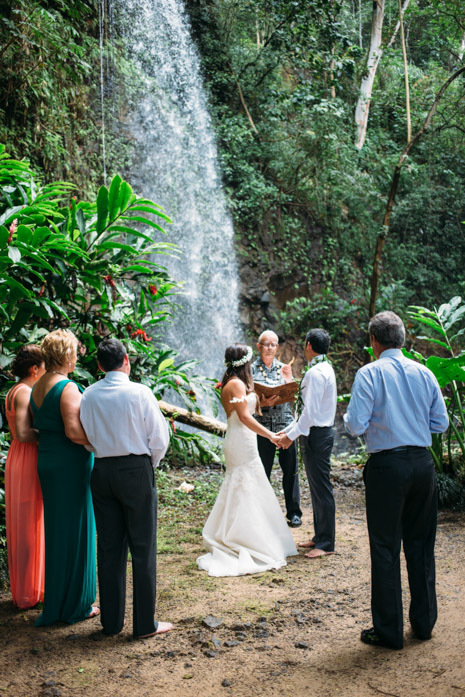 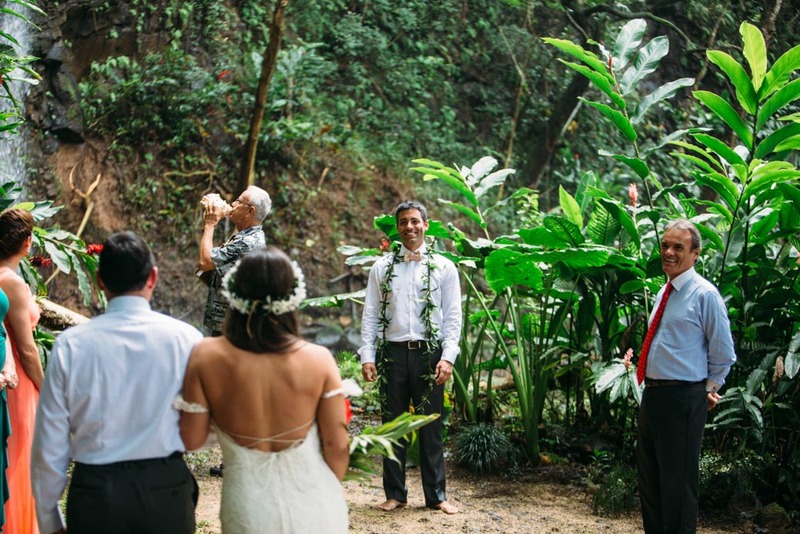 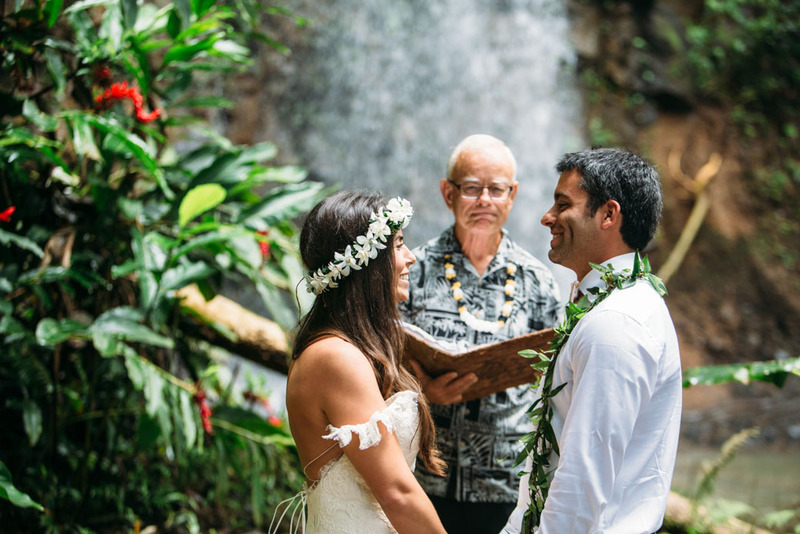 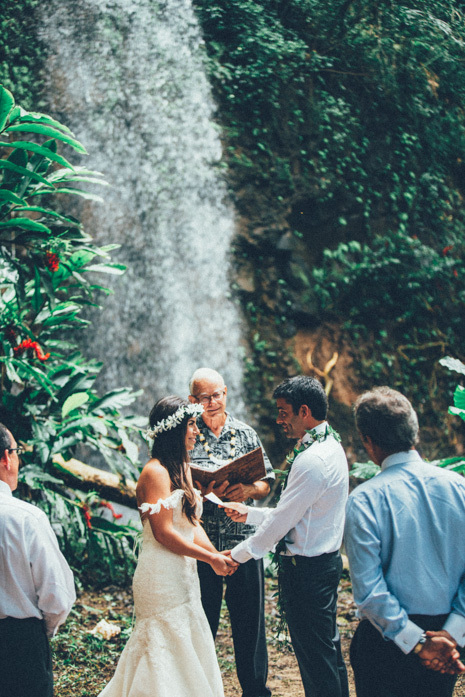 First we started off by going to a private waterfall for the ceremony with their families. 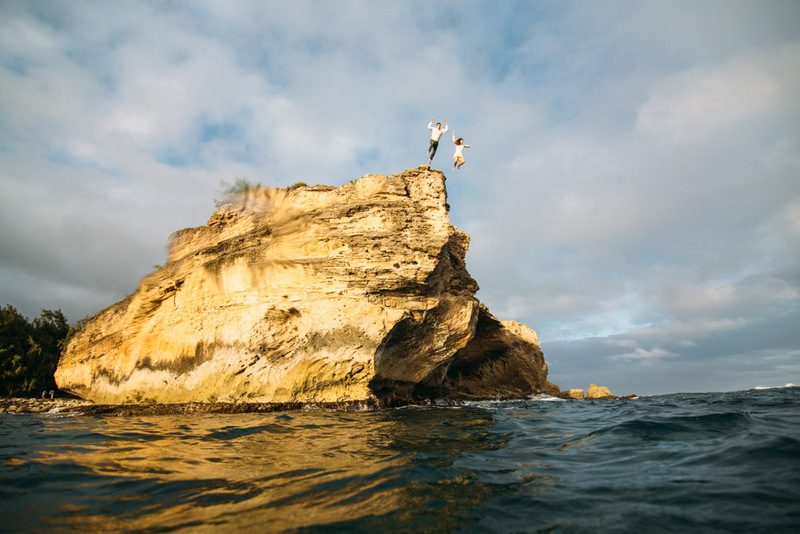 After a few shots on a nearby beach we drove to Poipu were they jumped off the rock at Shipwreck beach and trashed the dress, there is a little GoPro Hero clip at the bottom of the post. 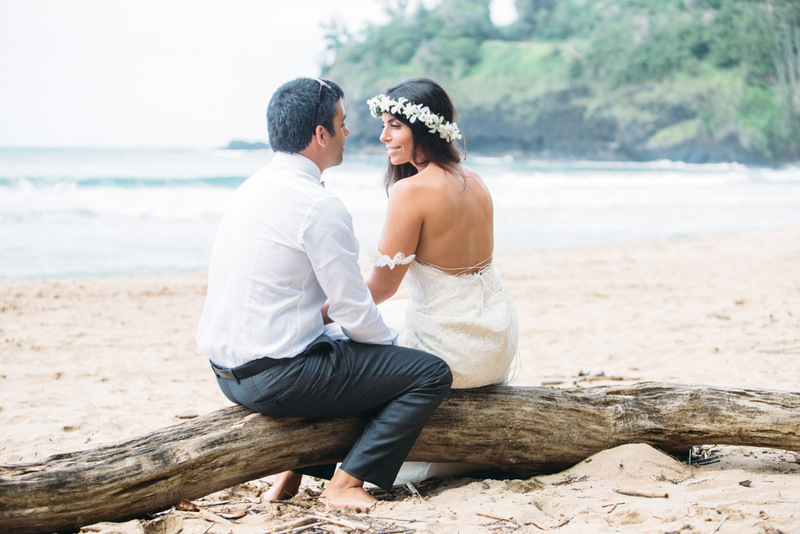 After some underwater photos we watched an amazing Kauai sunset. 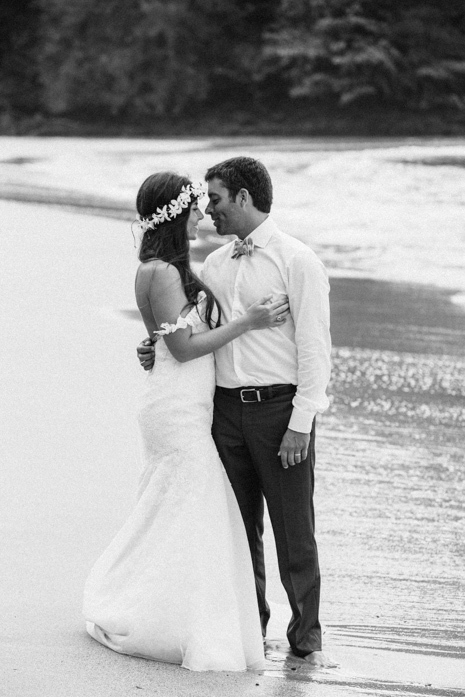 Congratulations Lindsay and Nico!